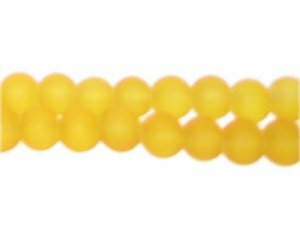 These are 8mm Yellow Sea/Beach-Style Glass Bead, approx. 53 beads on a 16" string. I am so happy with my beads. Will continue to order and recommend dollar bead. Quick delivery also. Thank you.